Shirdi once a small village in Maharashtra known to very few people, has acquired a great reputation among the pilgrimage and tourist places of the state. Popularity of this abode of the great saint of Maharashtra has crossed borders of the state and has reached overseas places. Due to this enormous popularity hordes of devotees and tourists are visiting Shirdi, to get the blessings of Shri Sai Baba. The devotees have a firm belief that one who visits Shirdi is blessed by Sai and gets whatever he wishes. Firm belief on Shirdi Sai Baba repeatedly brings the devotees to Shirdi making this destination always brimmed up with the disciples of Sai Baba. Shirdi is a town in Ahmedngar district of Maharashtra located just fifteen km from Kopergaon and around seventy-five km from Nashik railway station. It is easily accessible from major cities in Maharashtra like Mumbai, Pune and Nashik. The temple complex in Shirdi spread on an area of around two hundred km is located in the heart of Shirdi village. It consists of Khandoba Temple, Gurusthan, Samadhi Mandir, Dwarkamai, Chavadi and Lendi bag. Shirdi Sai Baba temple is built over Samadhi of Sai during the year 1922. The idol of Sai Baba in this temple is carved out from a single piece of Italian marble in the year 1954. There is an assembly hall in the temple which can accommodate around six hundred devotees at a time. 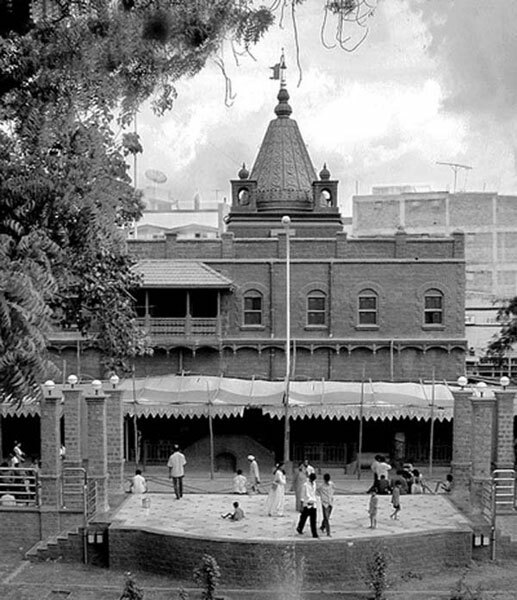 The Shirdi temple which houses Baba’s Samadhi was originally a large private house called wada. The shrine was built by a wealthy devotee and a businessman called Gopalrao Booty from Nagpur. Booty was inspired in a dream in which Baba told him to build a house and a temple. Another devotee of Sai Baba called Shama had the same dream. Both of them made some rough sketches and showed it to Dixit for approval, who took them to Sai Baba for getting permission. Baba readily told them to go ahead and like this the temple in Shirdi took shape. Actual construction work of the temple started in 1915 and was known as Dagadi wada, since it was built out of Stone. Shama one of the close devotees supervised the construction of ground floor and basement. The supervision work was further continued by Bapusaheb another close devotee of Sai. During the construction of the building, Booty took permission regarding installation of statue of Murlidhar on the ground floor of the temple. After Baba left his material body it was taken to the wada and kept at the place where the statue of Murlidhar was supposed to be established. This abode of Sai is full of devotees throughout the year. Specially during the Shri Ram Navami,Shri Gurupournima, Shri Punyatithi prime festivals of Shirdi the destination really overflows with great influx of devotees. So it is advisable to book your accommodation in Shirdi prior your arrival at this destination, in one of the hotels near Shirdi temple. Hotels located near the temple are more convenient and favored by visitors.